for homes and businesses world wide since 1996.
a wide array of design possibilities... direct from the artist to you. Most of the feature tiles have a notch in the back so they can also hang on their own as artwork. into a wonderfully unique and functional work of art. 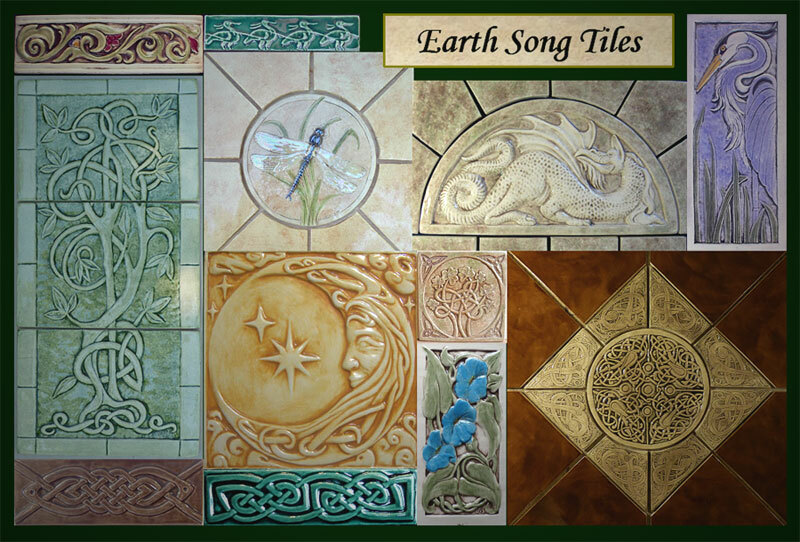 Earth Song tiles are made using non toxic, lead free materials produced in Canada or the USA. Your tiles will be carefully packaged for shipping with reused and recycled material. If anything arrives damaged we will personally replace it free of charge.